The guiding word for ROYAL firm is performance. For ROYAL, performance is ultimately measured by the satisfaction of customers. Each customer has ROYAL commitment to superior performance. ROYAL cares about each client’s project from start to finish, including everything from completely designed projects to mere concepts. 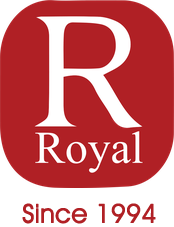 ROYAL pre-construction team assembles at the beginning of each project with responsibilities to prepare conceptual and detailed budget, assist with value engineering, evaluate equipment and systems cost alternatives, and provide a complete constructability review. For ROYAL people make the difference on each project. That is why experienced people are matched to the project that best fits his/her skills. Concentrating on each project from start to finish requires ROYAL qualified people to meet the client’s needs. ROYAL Engineers and Designers work with the latest calculation software, Intergraph & CAD Systems allowing us to quickly produce the most quality plans at the most efficient time. Royal Engineering takes great pride in our work and strives to be the best MEP Consulting engineering firm. You will find our staff technically proficient and enjoyable to work with. Delivering quality is another guarantee that satisfies ROYAL clients. Whether the project is large or small, the staff is committed to providing the highest level of quality, both in the design process as well as the construction and finished the project. Experience and client’s standards determine this quality. Quality for ROYAL is not static, it is constantly improving.